Is pumpkin a SCI friend? As a carer I feel responsible for the household pantry and meal plan. I wanted to blog some delicious pumpkin recipes as so versatile but re-evaluated when I realised pumpkin has a high sugar content. I needed to compare pumpkin to other vegetables / carbohydrate choices to give a fair review so I looked at: Penne pasta, brown rice, sweet potato, boiled potatoes, multigrain bread and pumpkin. I have listed them in order of their calories as penne pasta has the most with 220 calories in 1 cup of cooked pasta. Pumpkin came out best with 26 calories in 100g. Brown rice ranked highest for total carbohydrates with 44.42g in 1 cup compared to penne pasta 42.95g per cup, sweet potato 41.42g per cup, multigrain bread 12.06g per slice and pumpkin came out best with 6.5g in 100g. I am comparing 1 serve size. I then compared sugar content; sweet potato rests easily at the top with 16.88g per cup cementing it’s name, next was multigrain bread with 2.61g sugar per slice and pumpkin has 1.36g per 100g, penne pasta had 0.78g sugar per cup with brown rice 0.68g per cup and potatoes 0.66g per half cup. About now I became slightly confused as should I prioritize carbohydrate content or fats or protein in the food? There are so many factors to consider when I make a food choice, including vitamins, calcium and iron contents. Sweet potatoes win the vitamin A content with 769% per cup with 65% vitamin C. Pumpkin comes in second with 148% vitamin A and 15% vitamin C. If you eliminate sweet potato because of its high sugar content then pumpkin has a strong nutritional position. I could go on and compare these foods regarding their protein or their fat content especially their saturated fats (pumpkin has 3% fat and 8% protein which is mid range within my food comparison ) but I decided to look at the question from a different angle to see if it showed me the statistical analysis more clearly. I just wanted to know if pumpkin is good for the family? I read Mala Srivastava’s article in SFGate – Healthy Eating – listing good carbs and bad carbs and then Erin Coleman’s article in the same publication called Good carb foods V bad carb foods. It was becoming clear that I may not be asking the right question? Our bodies all need carbohydrates to function well. There are two types of carbohydrates: complex and simple. Complex carbs take a longer time to be digested into glucose, foods packed with complex carbs and fibre are referred to as good carbs. Simple carbs have higher amounts of sugar or added sugar so white bread with added sugar would be a bad carb. So how do I analyse my family’s intake of good carbs and bad cards? Eating too many processed foods with added sugar or bad carbs, as we have now established, can increase the risk of heart disease and contribute to diabetes and an increase in weight. Examples of bad cards are white bread, regular pasta, white rice, sugary drinks? The straight forward conclusion is that we should only be eating good carbs. These carbs are minimally processed, packed with nutrients including fibre; examples are grains, fruits, vegetables and legumes. Ah – this is a clearer way to consider food choices. I read on about the daily amounts recommended by World Health Organization – carbs should make up 45 -65 % of the total daily calorie intake. There in that sentence all is lost again as how does the average carer know if carbs make up 45-65% of their daily family meal plan? An easier way to consider this is – if you eat 2000 calories a day (a female’s allowance), sugar intake must be limited to under 50g per day. Good carbs are generally packed with fibre, women are recommended to eat 25g of fibre and men 38g fibre a day, I’d need a calculator around Woolworth’s. Lost again? How can I make this comparison and analysis simple? I am going to use one measurement and combine foods into groupings…….eat whole grain foods such as brown rice, whole grain pasta, beans, whole oats and whole wheat breads. These choices are packed with fibre , vitamins and minerals. These foods don’t cause peaks in blood glucose levels so maintain stable blood sugars decreasing the risk of type 2 diabetes. Harvard School of Public Health suggests eating whole wheat or whole oats for breakfast, whole grain breads for lunch and brown rice for dinner, for serving size see packaging. Eat 2 cups of fruits and 2.5 cups vegetables daily such as beans , peas and lentils. Steer away from refined grains, sweets and biscuits, pizza crusts, pretzels, hamburger buns and bagels, cakes, pancakes and pastries as they are generally stripped of vitamins and high in added sugar. These choices are high calorie foods which contribute to weight gain and can lead to development of diabetes. 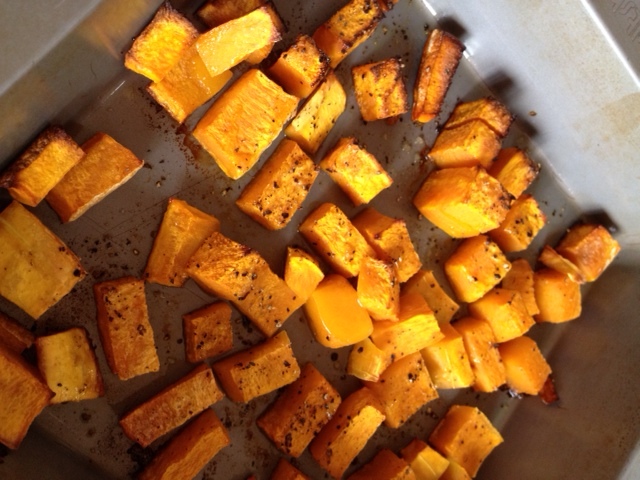 I still haven’t answered my question – is pumpkin is a good food choice? 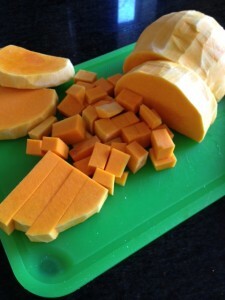 My research had thrown superfoods into the forum, what is a superfood and is pumpkin a superfood? The term superfood as defined by Wikipedia “is a food that is considered to be beneficial to your health and that may help some medical conditions.” Cancer Research UK says “superfood as a term is really just a marketing tool, with little scientific basis to it” Since July 2007 the marketing of products as superfoods is prohibited in the European Union unless accompanied by a scientific medical claim supported by credible scientific research. The Sydney Morning Herald listed Top 10 Superfoods, in 2009, as Acai, natural yogurt, broccoli, lentils, sweet potatoes,blueberries, wild salmon, Goji berries, kale, barley. Although I realise that superfoods could be all hype there is some credibility in the fact that all the superfoods mentioned above are natural, unrefined, rich in fibre, vitamins and minerals. I looked at the selection and I feel these ‘super’ options fall into basic good food choices. Still no mention of pumpkin. I looked at the above plan and see a substantial breakfast to start the day, a balanced lunch with a tasty main meal. It really is that simple. Snack wisely with an apple or a handful of almonds. I investigated Sports and Spokes – The magazine for Wheelchair Sports and Recreation. Kylie James and Joanne Smith just published an article – Thermogenic foods can boost your metabolism and help combat fat. Theirs is an interesting concept and I would like to review their book Eat Well Live Well with SCI and Other Neurological conditions. Do they mention pumpkin? I visited www.wheelstrong.com and found in their archives an article – Welcome to wheelchair life – Here’s what you should eat. Full article here. Their list includes; protein, Vitamin E, Vitamin D, Vitamin C, Vitamin A and Iron. Finally I see pumpkin on the menu, with 148% Vitamin A, 15% Vitamin C, Calcium 2% and Iron 4% with no cholesterol, 0.1g fat and 1mg sodium per serve, pumpkin can be forgiven the 1.36g sugar as I know I have 50g of sugar allowed per day as discussed earlier. 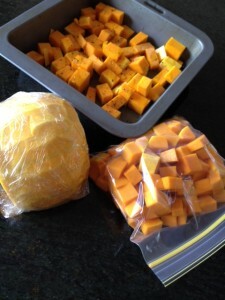 Now that I have justified pumpkin as a healthy, fibre rich, beneficial choice; let me explain my love of this vegetable. I can cut it up and roast half while reserving the uncooked quantity of diced flesh for another day. It is versatile in cous cous salads and can be added to casseroles and curry, it makes good soup and can be grated into bolognese sauce for added fibre. It is an excellent choice to have in the fridge as it can be quickly roasted, grated, mashed or liquidated into soup for an evening meal when carers are time poor. I always refrigerate some roasted pumpkin to throw into a beetroot, feta and spinach salad – fresh and perfect with balsamic dressing! In conclusion I acknowledge that I can’t trawl through websites and analyse all foods before I recommend them as delicious for inclusion into the 1200 – 1500 calorie diet for SCI wheelchair users. I have to conclude that my research, copious reading and various highlighting of multiple data in my comparison deliberations has led me to strongly believe – eat fresh food, cooked simply, eat well but consider portion control/ serve sizes and eat everything in moderation. I recommend reading appropriate literature that has taken the hard work out of SCI diet. Keep a close eye on Sport and Spokes and www.wheelstrong.com #Wheelstrong as no need to reinvent the wheel. This entry was posted in Lifestyle Choices, SCI Diet and tagged Calories, Diet, food and nutrition, Healthy choices, Healthy eating, Nutrition, Recipes by everydaycarer. Bookmark the permalink. Thank you, do share as I aim to communicate about coping, caring and having some fun!